My kids are definitely hands-on learners. When Jude was younger, he loved doing "arts and crafts" at the end of his lessons, which I think evolved into "I will tolerate this other stuff if you let me make a big mess when I'm done." One of his favorite things for this was to cook. Little did he realize that he was learning while he was making the mess (and the cookies). The boys aren't really into cut-and-paste any more, but being boys, they have bottomless pits for stomachs. If there's food involved, they are highly motivated, so that makes Eat Your U.S. History Homework: Recipes for Revolutionary Minds perfect for our family. 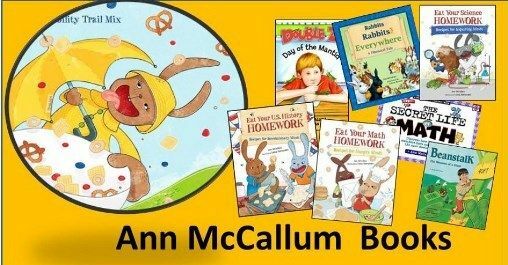 Published by Ann McCallum Books, this short volume incorporates math, science, and history into a fun - and yummy - hands-on experience. This book features six recipes that may have graced American tables between 1620 and 1789. Each recipe is coordinated with a brief introduction of a historical event, followed by the recipe itself, and then a second, more in-depth explanation of the event. The recipes are re-imagined for the modern cook, but retain the spirit of the times they would have first been served. The recipes include relatively basic ingredients, even some pre-prepared (like canned pie filling in the Cherry-Berry Grunt), making them easy for kids to make with just a little help from grownups. This book is intended for mid-elementary students (ages 7-10), but can be used - and enjoyed! - by students of all ages. The Cherry-Berry Grunt the first recipe we tried. I admit that we did adjust the recipe a bit -- the pan I had was smaller than the one the recipe called for, so we omitted the berries. We also had to swap out a few things to make the recipe gluten free. However...I didn't get any pictures of the finished grunt because it disappeared too quickly! It was absolutely delicious. I also think it's a recipe that really personifies the colonial American kitchen - simple but sweet and filling. A couple of the recipes were vetoed before we began. Succotash may be a traditional fall/Thanksgiving dish, but even historical accuracy wasn't going to convince the boys to eat lima beans. True to form, they were more willing to give "Revolutionary Honey Jumbles Cookies" a shot. These cookies complement the lesson on the Boston Tea Party. Matthew made these for dessert one night. Soft, cakey sweets may be rooted in the "veddy veddy British" afternoon tea ritual, but these cookies are a perfect ending to an All-American dinner of BBQ pork with macaroni and cheese. I was really impressed at how well these cookies adapted to allergy-friendly eating. Although we swapped out dairy-free margarine for the butter, that usually doesn't affect baked goods too much. Swapping gluten free flour for all-purpose can sometimes be dicey. However, these turned out perfectly - using King Arthur's gluten free blend (plus 2 tsp xanthan gum), they were soft and light, with no crumbs at all. I thought they were a little bland - they probably would benefit from a little vanilla (not in the original recipe), or extra cinnamon in the dredge. (I recommend doubling the amount for the cinnamon/sugar dip. We did get 30 cookies from the recipe, but needed to make more dredge to roll them in.) I want to try them (plain) in desserts that call for ladyfingers -- these have a cakey texture that I think would be great as a trifle or tiramisu base. I enjoyed the recipes that went along with the history events. We really enjoyed making recipes that helped us understand favorites from long-ago tables, and hope to try some of the other recipes soon. The Crew reviewed several books from Ann McCallum Books. To read their reviews, click on the banner below.